According to AAA, new research on family travel shows nearly 100 million Americans will take at least one vacation this year. We can expect roads and airports across the state to stay busy this year. According to AAA, new research on family travel shows nearly 100 million Americans will take at least one vacation this year. The majority of family travelers say they plan to take part in a Great American Road Trip this year. Many will vacation to a national park, state park or theme park. However, the amount of visitors to those destinations is expected to drop by 11 percent. "The recent centennial celebration for the national parks drove attendance for the last couple of years, but those numbers appear to be trailing off," AAA Idaho spokesman Matthew Conde said in a statement. "This may be a perfect opportunity to cross a national park off your bucket list and fight smaller crowds." 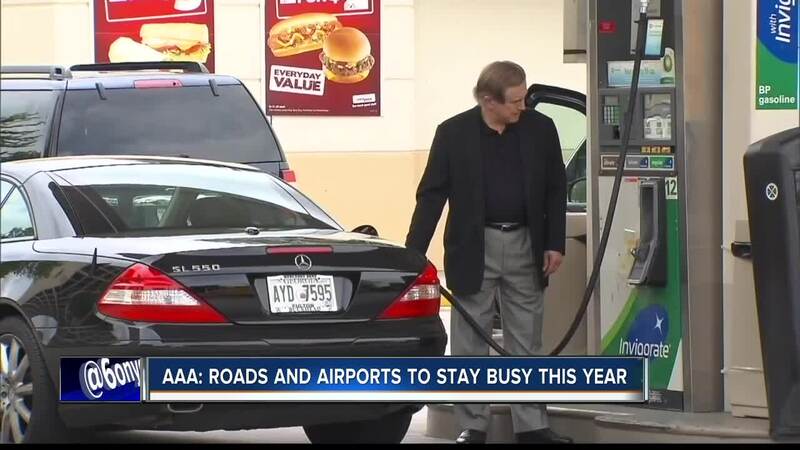 All that travel is partly because of budget-friendly gas prices over the year. Drivers have saved nearly 25 cents per gallon compared to last year. Although experts say the global economy could slow down in 2019, high consumer confidence will likely keep families on the go. "It makes sense that most traveling families will hit the road in the spring and summer - 45 percent and 68 percent respectively - while the kids are out of school," Conde said. "But it's interesting that nearly one-third of them are planning a fall getaway, and about a quarter will go during the winter. That tells you that if people can find a good value, they're ready to take advantage of it."